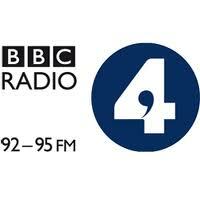 Start the Week, on Radio 4, on maths, big data and measurement. Start the Week, Radio 4. In this programme, Lisa Jardine discusses how complex maths has broken free of the laboratory and now influences every aspect of our lives.Tiffany Jenkins sounds a note of caution about a world where everything is measurable. James Owen Weatherall applauds the take-over of the financial world by physicists, Marcus du Sautoy revels in the numbers and Kenneth Cukier explores how big data will change everything from disease control to bargain buys. Listen again here.